For the academic year of 2018-2019, we have 100 students enrolled aged 2 1/2 to 12 years. We have three Casa classes, two Lower Elementary, and one Upper Elementary class. The Montessori program is enhanced with French, music, art and physical activity. Taddle Creek is located in the Annex neighbourhood of downtown Toronto, surrounded by the cultural opportunities of the AGO, ROM, and University of Toronto, among many others. After School Clubs are offered for different sessions during the year. Drama, dance, sports, art, sewing, crafts and other activities are led by school staff and invited specialists for Elementary and Casa students. I like that the teachers are nice, they help us with our work when we need it. And we make lots of friends here. I love Taddle Creek because the teachers are amazing and we can move around freely. You can choose your own work and have fun with it even if someone is doing something else. I like playing with my friends, my favourite work is sewing and I love books. I like when Fiona shows me lessons. What do you like about Taddle Creek? Everything! I like doing big work and playing with friends. I like when when Stef reads books to me. It's not like we just sit at a desk and teacher is really strict. It's really fun and the principal and teachers are nice. I always had a sense of how much my daughter needed a Montessori education, at Taddle Creek specifically as we know how they can differ; but, besides her need for freedom within structure I could never really put my finger on the obvious way she was benefiting until last night's demonstrations. Taddle Creek has and takes the time to employ different kinds of learning tactics and this enables different children to learn the way they learn best. I don't need my daughter to churn out things that she knows, what I love most is to see how much she's interested in things. I believe this program allows things to sit (fester really, in a good way) because she is not required to give proof of what she's learned immediately-she's given the time to allow for interest to develop, for curiosity; instead of everything becoming a chore, it simply becomes part of her. As much as we parents bite our nails in anticipation of follow through, one cannot be interested in everything. At home I struggle with this, and I can see her interests wane in direct relation to how hard I press for delivery. I'm glad it's not like that at school. 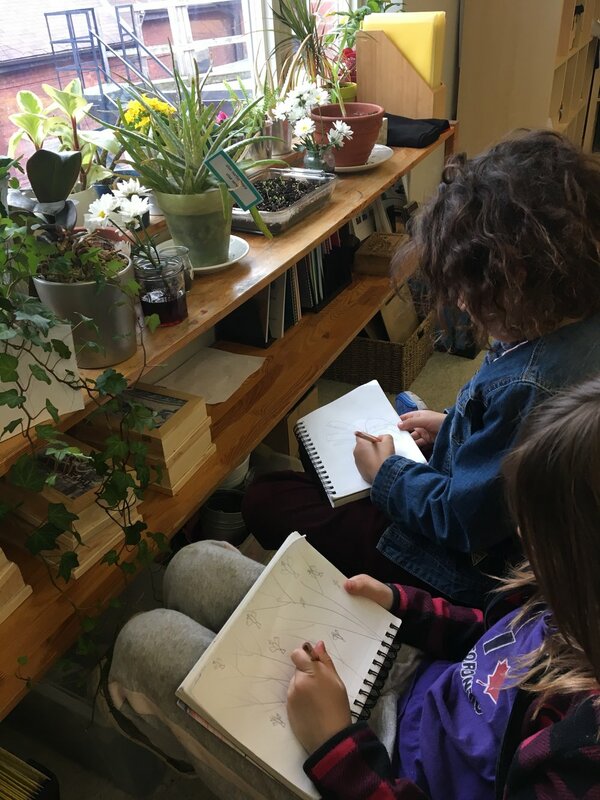 I have met many of my dearest friends at Taddle Creek and have been continually renewed and inspired by my colleagues’ passion for Montessori methodology. The sense of community at Taddle Creek struck me when I arrived and over the years I have enjoyed collaborating with the many wonderful families that have passed through our halls. Matt Smith joined the Taddle Creek Montessori School in the position of Principal in August 2015. Matt is a Toronto native, who completed his Bachelor of Arts in History.